Since we know that PUBG Mobile Timi also called “Jedi Survived The Whole Army is known for its smooth gameplay, here we have discussed how to download PUBG Mobile 1.0.14 Timi on Android and iOS devices. While the buzz is roaming around about the new PUBG Snow map, we would show you how you can download latest PUBG mobile 0.1.14 Timi version on your Android and iPhone to enjoy the all-new feature and play the game with smoother and better control. As we know the PUBG Mobile Timi is basically known for its best graphic and better control, we have decided let everyone to get PUBG Mobile Timi 1.0.14. Previously, we have already discussed that you can download PUBG Mobile 0.10.9 with new weather, rainforest map¸ island map, new firearms, more and also the PUBG Mobile 0.9.5 Beta update with dynamic weather, and more. And today, we have come with the latest PUBG Mobile Timi 1.0.14 so lot of nifty features. So, without any bother let me take you to the guide to PUBG Mobile Timi download on Android and iOS devices! Before heading to the process to get PUBG Mobile Timi 1.0.14 APK, you should check new features of the latest version of PUBG Mobile 1.0.14. What’s new on PUBG Mobile Timi 1.0.14? 1.Fixed the problem that iPhone XS and iPhone XS Mas models entered the game flashback. 2. Fixed some game bugs. On the same day, you will receive a permanent AKM orange skin, and there will be a million red packets. Holiday carnival, there are more benefits to enjoy! exclusive, enter special combat drills, challenge the control limit, and prepare for the next chicken! two new car owners airborne all the army! Innovative development of the big wheel crushing the whole audience, the bigfoot beast is only open for a limited time during the activity time; more Ronnie small pickup truck helps the jungle to eat chicken! 1.with the team’s friends to open the black, participate in the king of the team competition, the most powerful team! 2.Open from 8:00 to 9:00 on Tuesdays, Thursdays and Saturdays from August 28th to September 30th ! The new version of the Friend Watch System. The new version of the buddy can not only play on their own, but also watch friends eat chicken. Optimize the list of friends, you can now set the priority display for the buddy, and it is more convenient to give gold coins and team. 2. Add a gift to your friends to quickly increase the intimacy with your friends. Optimize the performance of empty hands and running with guns. 2. Optimize the performance of jogging/running. 3. Optimize the performance of the pickup action. 4. Optimize the performance of climbing/overtaking. 5. Optimize the performance of boxing action. 6. Add a deceleration action before the parachute landing. Optimized the lens shake effect when the firearm is fired. 2. Increase the holding time after the throwing ring of the throwing object. 3. Added the hold-open mode, the player can select in the setting interface-convenient setting, press and hold the aiming button to open the mirror, and turn off the mirror when released. 4. Added the ability to slide the screen to turn the angle of view after pressing the open mirror. 5. Optimize the precision of the shooter rifle recoil. 6. Fixed the problem that the gun’s own machine sight accessories are not displayed properly after the equipment is equipped with the sight glass. 7. Optimized the kar98k reloading animation. 8. Grenade and pistol will now be displayed on the character. Optimize the system permission mode. When the player does not open the system positioning permission, the “Nearby People” will be prompted to jump to the system settings in the interface. Tactical master mode adds a weapon – jet backpack! More props and gameplay are waiting for you to dig! 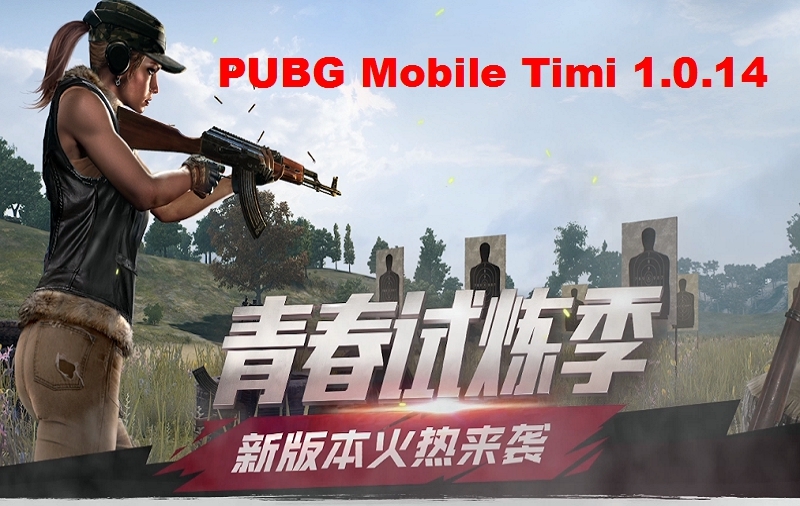 Note: Once after installing the PUBG Mobile Timi 1.0.14 version on your phone if you cannot able to log in then try to install WeChat and log in through WeChat to get started playing PUBG Mobile Timi version on your phone.